The world’s largest study on GMO & Pesticide safety will answer whether GMO food and associated pesticide, like Glyphosate/Roundup, are safe for human health. The $25 million “Factor GMO” study will investigate the health effects of a genetically modified (GMO) crop that has been in our food and animal feed supplies for many years. It will answer the question: Is this GMO food and associated pesticide (Glyphosate/Roundup) safe for human health? Farmers, retailers, governments, scientists and consumers have been involved in a heated international debate since GM foods were introduced in 1994. However, there has never been a scientific study that is comprehensive enough to give them a clear answer regarding the safety for human health of any one GM food - until now. 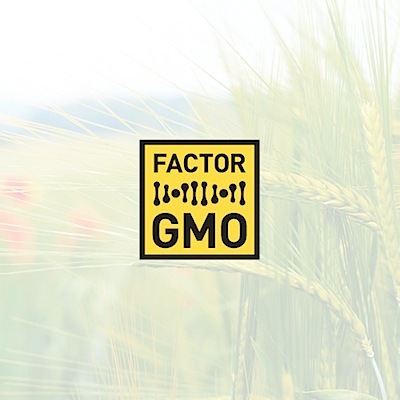 Factor GMO will also add invaluable data of unprecedented power to enable regulators, governments and the general public of every country to answer the question: Is the GM food and associated pesticide tested safe at real-world levels of consumption and exposure? Factor GMO’s preparatory phase started in early 2014. The full experiment will begin in 2015 and will last 2-3 years, with interim results being published at regular intervals during that time. The study will test a herbicide-tolerant GM maize and realistic levels of the glyphosate herbicide it is engineered to be grown with on a total of over 6000 rats. The study will take place at undisclosed locations in Western Europe and Russia. The exact locations of the study must be kept confidential for security reasons as Factor GMO wants to avoid any outside interference that could compromise the day-to-day running of the experiments and/or the final results. Laboratory animals (rats) will be fed the GM food and pesticides according to a protocol whose scale, rigor and range of measurements will meet and exceed current international standards for testing the toxicity of GM foods, pesticides, and other chemicals. The experiment uses more rigorous approaches to investigate the fundamental question of the safety of GM foods and pesticides than are currently required by regulators. It will provide sufficient data to say with confidence whether the real world levels of consumption of the GM food and its associated pesticide are safe. Is the GM food (or its associated pesticide) toxic to organ systems over the long-term? Does the GM food (or its associated pesticide) cause cancer? Does the GM food (or its associated pesticide) reduce fertility or cause birth defects? The scientists involved in Factor GMO come from a “neutral” background, in that they have no connection to the biotech industry or the anti-GMO movement, a factor that will add credibility to the results. Dr. Oxana Sinitsyna; Deputy Director for Science at the Federal State Organization “A. N. Sysin Research Institute of Human Ecology and Environmental Health” of the Ministry of Health of the Russian Federation, Moscow. * The Organisation for Economic Cooperation and Development, which sets protocols for industry safety studies on chemicals. Dr. Bruce Blumberg; Professor, Developmental & Cell Biology, School of Biological Sciences, University of California, Irvine, USA. Dr. Fiorella Belpoggi (on the Review Board as a Fellow of the Collegium Ramazzini); Director and Chief of Pathology of the Cesare Maltoni Cancer Research Centre of the Ramazzini Institute, Bentivoglio, Italy. The Russian National Association for Genetic Safety (NAGS) is the initiator and coordinator of the Factor GMO experiment. However, NAGS has had and will have no involvement in designing the study, in the day-to-day running of the experiment, or in the gathering, interpretation, or publication of the scientific results. These aspects have been and will continue to be decided and controlled by the independent and neutral scientific review board. The neutral scientific review board showed interest in the comprehensive study, after the idea for such a study was introduced online by NAGS. Following a full introduction by the members of the scientific review board regarding their work experience and expertise, NAGS supported the idea of them taking full control of the Factor GMO scientific process. The evaluation of correct protocols and the selection of scientists to work directly on the experimental phase of the study is under the complete control of the neutral scientific review board. NAGS has not had any involvement in this process. NAGS has always promoted the idea of comprehensive safety studies on GMOs and their associated pesticides and has therefore taken on the role of coordinating the funding and security for the Factor GMO study. The funding process will be totally transparent and a full list of funders will be provided at the start of the experimental phase in 2015. We will not wait for the results to be published before publishing the full list of funders as many scientific studies do. Up to this stage private individuals from across Russia and the EU have put forward their funds to support the project (names to be disclosed next year). We cannot disclose the exact amount of funds collected until now due to contractual agreements with the funders, however we can say that a high % of the total needed has been secured, allowing us to start the experimental phase in Spring 2015. The close to $25 million in funding needed for this project has been/is being sourced from around the world. Factor GMO has not and will not accept funds from the industry that manufactures GM crops and their associated pesticides. The funders will have no influence on the design, results, or publication of the study. Listed below are links to blogs that reference this entry: World's Largest Ever Study on GMO, Pesticide Safety Launched in London. This page contains a single entry by Toni published on November 12, 2014 5:28 PM. Depopulation vaccine in Kenya and beyond was the previous entry in this blog. Student Science Experiment Finds Plants Won’t Grow Near Wi-Fi Router is the next entry in this blog.